Khloe Kardashian tells fans to stop comparing themselves to others because "nobody is as pretty without filters"
After years of blessing us with Oscar-worthy performances, actress Cicely Tyson will finally be getting the recognition and honour she rightfully deserves from the Academy, her own golden statuette. 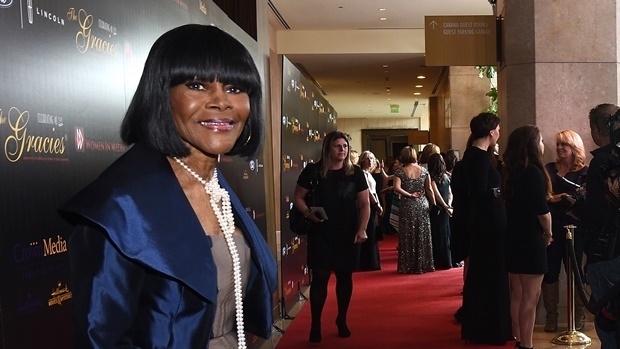 The 93-year-old actress, who has only been nominated once for an Oscar in the 70's, for her role in the sharecropper drama Sounder, will be recognised this year by the Board of Governors of the Academy of Motion Picture Arts and Sciences. Cicely will be the only actor to receive an honorary award this year but while Cicely has been sadly denied recognition by the Academy in the past, throughout her legendary career, she has had her fair share of awards. Cicely has received a Tony award and several Emmy awards. Cicely has also been the recipient of a Presidential Medal of Freedom for the breathtaking performances she gave in film masterpieces like Roots and The Autobiography of Miss Jane Pittman. Some of Cicely's most notable cinematic credits include The Niger River, Diary of a Mad Black Woman, The Help and Last Flag Flying. Aaaahhh!!!! THIS gives me LIFE!!! Beyond deserved!!! Love, love you beauty??? The decision to finally put a spotlight on the remarkable work of Cicely can be indicative of the Academy's attempts to change. Earlier this year, the Academy invited quite a large number of new members after they pledged to diversify their voting pool. Kendrick Lamar, Jada Pinkett Smith and Dave Chappelle were among those invited to join this year, undoubtedly an effort to avoid another #OscarsSoWhite catastrophe. We are ecstatic that one of our favourite and most stylish talents of all time is finally getting the recognition she deserves. We hope that the next legend will not have to wait as long as Cicely has. Disney lightens Princess Tiana’s skin and gives her a nose job - are they guilty of colourism?